The book I’m featuring this week is The House Between Tides by Sarah Maine, a book I’m planning to read soon. It’s the story of a crumbling estate in the wilds of Scotland, set in 1910 and 2010. The first bone he had dismissed as dead sheep. There’d been others – ribs decaying amidst rabbit droppings and debris from the collapsing ceilings, or bleached vertebrae. But the next one was a long bone, and he held it, considering a moment, then rocked back on his heels. And she had been drawn to a painting which hung in a corner, away from the others, a painting she now recognised as the view from the foreshore in front of the house. It showed two ill-defined figures walking across the strand, through contrasting patches of light, shadow and mist, walking in parallel, slightly apart from each other, and somehow clearly a man and a woman. But were they coming together or drifting apart? Following the death of her last living relative, Hetty Deveraux leaves London and her strained relationship behind for Muirlan, her ancestral home in Scotland – now in ruins. As Hetty dives headfirst into the repairs, she discovers a shocking secret protected by the house for a hundred years. 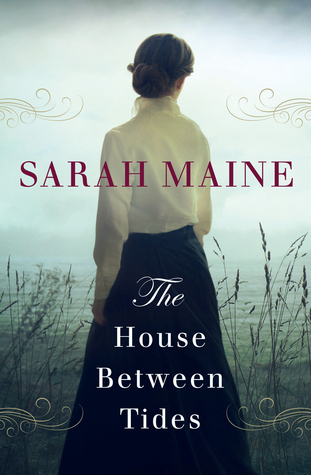 Sarah Maine is a new-to-me author, so I’m not sure what to expect, but The House Between Tides is described by Kirkus Reviews as ‘ A compelling debut which deftly blends classic suspense with modern themes.’ The reviewer in the Independent is quoted on the front cover – ‘An echo of Daphne du Maurier‘, so I’m hoping I’ll like it. This is really my cup of tea, and would definitely continue reading. It will end up on my to read list. This does sound intriguing, Margaret. I like books with that past/present connection. And the setting is irresistible! I hope you’ll really enjoy it. This does sound tempting. I hope you enjoy it. This week I am featuring Second Chance on Two Love Lane by Kieran Kramer from my review stack. Happy reading! Creeptastic beginning! It pulled me right in!! Happy weekend!